This walk is not for everyone! If you suffer from vertigo and/or are really nervous around steep sided paths then this walk is probably not one that you should try. 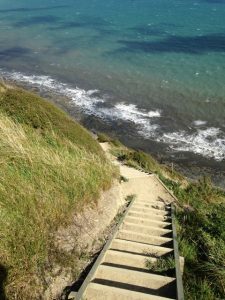 For good walkers, with a reasonable level of fitness (it’s 10km long) and kids that are willing to hold an adult’s hand and go carefully along narrow paths, this walk, known as the Escarpment Track, as well as ‘Stairway to Heaven’ is a great challenge. Opened in April 2016, this track has wonderful views over the Kapiti Coast, out to Kapiti Island and on a clear day, over to the South Island. Looking down you can generally also see the Kapiti coast train line and SH1. The track is a mix of gravel, stones and wooden steps (well over a thousand of them – your kids might want to count them as they go along!) 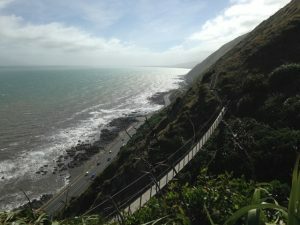 There are also 2 swing bridges on the Pukerua Bay side of the walk. Metal markers count down the 10kms of this path every kilometre. The track is mostly exposed to the elements as it climbs up to 220m above sea level, with just a few stretches going through Manuka bush. For this reason, it’s a good idea to take sunblock, sun hats and extra layers. You might also want to consider the wind direction in deciding which way to walk. If your kids are excited about the swing bridges, walking north to south will mean that you have that to look forward to (they come about 7 and 8km into the walk from Paekakariki). This walk has been designed to be doable with public transport as both ends are accessible on foot to the local train stations. The nearest toilets are at the shops near these train stations with none available en route. It’s worth noting that it’s not the kind of walk you can get out of once you start – you would need to turn round and retrace your steps if you decided it wasn’t for you. You’ll need to take all water, and food with you. No dogs allowed as the track is on privately owned land. Address: This walk starts at either SH1 near the junction with Ames Street (where there’s also a map to access the start of the walk). 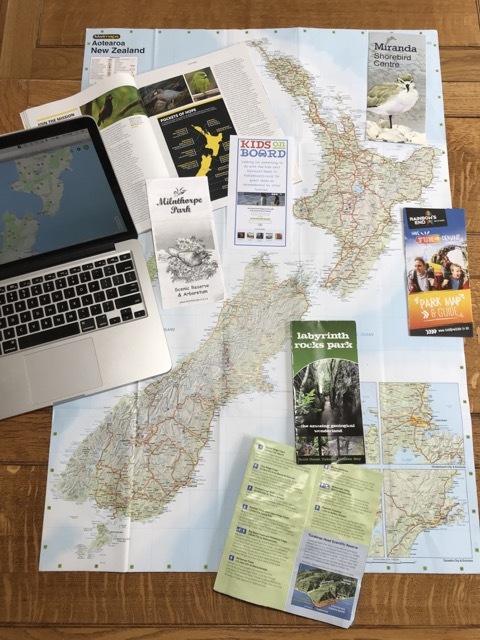 Or start at Pukerua Bay train station where you can cut through to Sea Vista Drive and on to the end of Muri Road, past a disused train station. Walk duration: just under 10km from station to station. Suggested times are 3-4hours but it’ll depend on walking speed of your family. Starting point for walking North to South. Starting point for walk South to North.